Sacom SpA announced a joint venture to export and produce innovative microorganisms fertilizers in Kosovo. Sacom SpA, an Italian company leader in the production and distribution of microbiological fertilizers, and Agroflorence, a company leader in Kosovo in the fertilizers distribution, signed Tuesday an agreement to set up a joint venture called FERTKOS. The Newco, incorporated under Kosovar law, will be based in Kosovo, and will soon start producing fertilizers composed by the raw materials widely available in Kosovo and the latest Italian microbiological high tech patented by Sacom SpA. "Fertkos," - says Gianluigi Torzi, CEO of Sacom SpA - "in addition to bringing obvious commercial benefits to both companies, will allow the introduction of the most advanced microbiological techniques in Kosovo in agriculture, which will help to obtain productions more abundant, healthy and sustainable. In fact the worldwide trend in the use for fertilizers in fact sees a gradual but steady fall of standard fertilizers opposed to the increase of bio-stimulants. Everywhere in the world farmers are increasingly converting their production to this new sustainable way of interpreting their craft. Sacom will always support this beneficial change." The construction of new production facilities will begin in November. At the same time, Agroflorence will begin the esclusive distribution of Sacom products in Kosovo, thanks to its 45 local distributors. The new initiative consolidates Sacom international expansion plans and introduces for the first time high tech microbiology fertilizers in Kosovo. Biotechnology is the use of living systems and organisms to develop or make useful products. Humankind has used biotechnology in agriculture, food production and medicine for thousands of years. Modern commercial applications of biotechnology in agriculture are on reducing the dependence of farmers on agrochemicals and on better protecting the plants from the various stresses they may suffer. 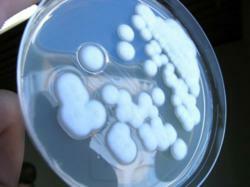 The microbiology fertilizers which will be produced by the newco Fertkos pursue this goal. Sacom SpA is one of the main fertilizers manufacturing and distributing companies for the care and nutrition of plants. Its vast product range now specializes in microbiology fertilizers. Kosovo is a republic that declared its independence from Serbia in 2008, populated by about 1,800,000 people.